One of the best ways to create immediate buzz around your videos is to offer a limited-time deal to your audience. 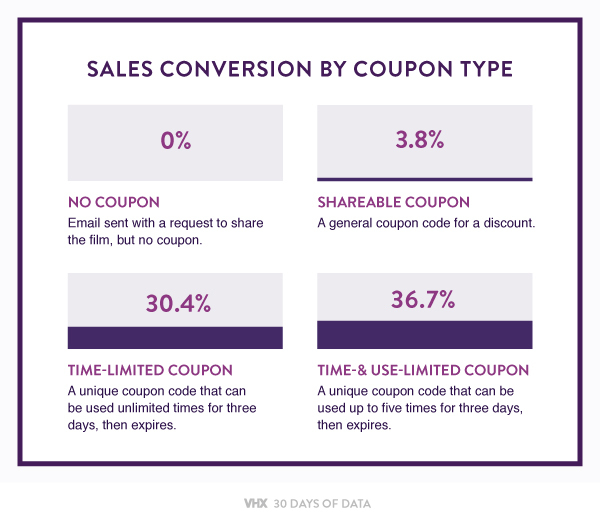 We ran an email experiment with the documentary Girl Rising to compare different kinds of coupons. The results: Using steep sale pricing PLUS a time limit can increase sales by a factor of 6x .